VANCOUVER — Leagh Barkley, wine director at Il Caminetto contemporary Italian restaurant, in Whistler, B.C., was named one of the province’s top three sommeliers at the B.C. Sommelier of the Year competition hosted by the Canadian Association of Professional Sommeliers British Columbia Chapter (CAPS B.C.) earlier this year. The fifth annual competition attracted 12 wine professionals from across the province to vie for the title of Best Sommelier of British Columbia 2019. Held in the Captains Room, at Rogers Arena, in Vancouver, the event included a written theory exam and blind tasting and, for the top three scoring sommeliers, a series of practical tests. The judging panel included Barbara Philip, MW, category manager, BC Liquor Stores; Jason Yamasaki, group sommelier, JOEY Restaurant Group; and Sebastien Le Goff, sommelier and service director, Cactus Club Café. In addition to placing in the top three at the B.C. 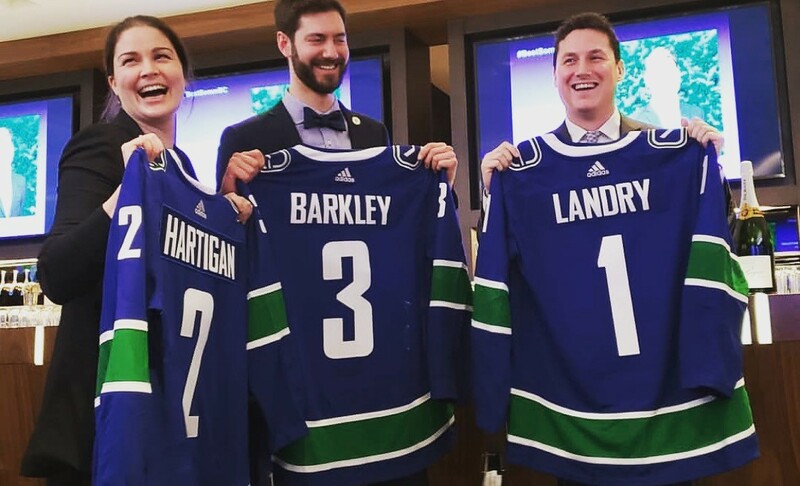 competition, Barkley is one of five sommeliers who will represent Canada at the Master of Port competition, to be held in Montreal in April. Barkley has been working as a sommelier for nine years. He joined Il Caminetto in October 2018, bringing with him a resume that includes a six-year stint in Europe working at some of France’s finest dining rooms and wine consultancies. He oversees Il Caminetto’s 700-label wine cellar, and says his long-term goals include building a premium by-the-glass selection, finding more obscure/rare Italian wines, and proposing a selection of rotating international wines offered by the glass. Barkley is active in a number of industry associations, including CAPS, The Court of Master Sommeliers and the Union de la Sommellerie Francaise. Established in 1989, the not-for-profit Canadian Association of Professional Sommeliers aims to promote and educate the sommelier profession through professional development and networking events related to the wine and spirits industry.